Happy Birthday friend! 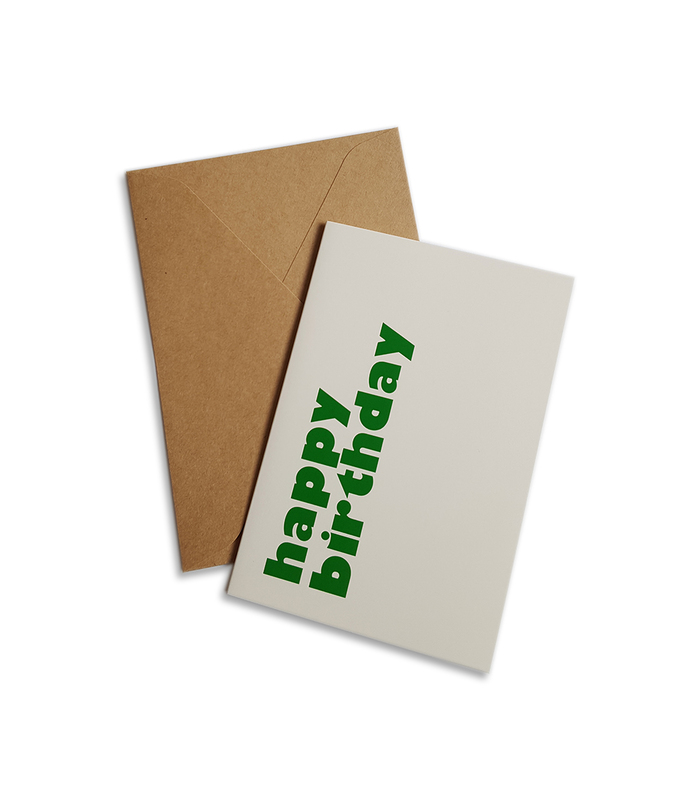 Folded card with green embossed happy birthday text on the cover. It comes with a kraft coloured envelope.